On Thursday, gold capitalized on its safe haven status amid another down day on equity markets and after weak US economic news supported a decision by the US Federal Reserve last week not to raise interest rates. In late afternoon dealings on the Comex market in New York, gold futures with December delivery dates jumped more than $25 or 2% to $1,156.70 in heavy trade with double the daily average number of contracts changing hands. The last time gold was above the $1,150 resistance level was August 24. Gold is up 5% from where it was trading before the Fed's hold on rates which have not been raised since June 2006. The US Commerce Department said on Thursday orders for durable goods fell in August for the first time in three months, while the Labor Department announced applications for unemployment benefits increased during the week. That gives ammunition to Fed doves who want to keep interest rates lower for longer and sent the dollar tumbling and bond yields falling. The dollar and gold and bond yields – specifically inflation-adjusted interest rates – and gold and have strong negative correlations – see charts. 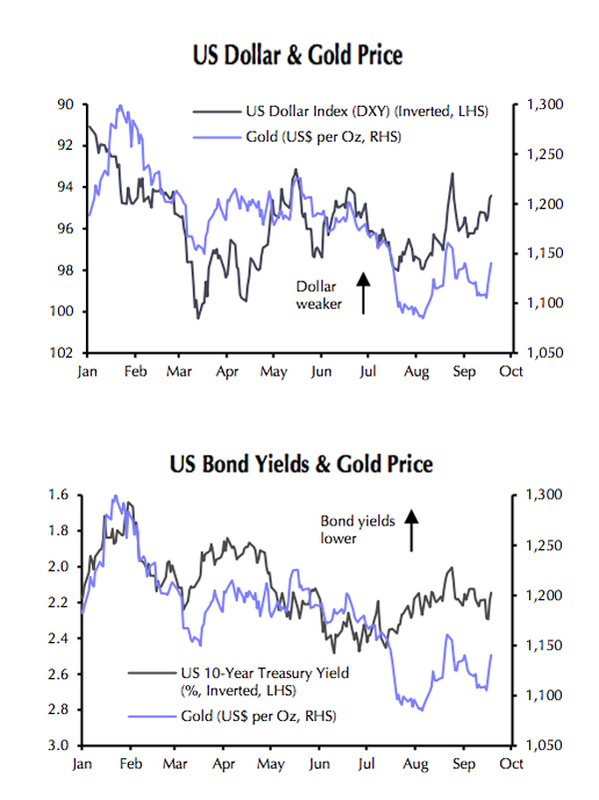 These two graphs from independent research house Capital Economics shows based on the correlation between gold and the dollar and gold and bond yields, the metal still has plenty of upside. Gold performance on Thursday was also boosted by short-covering. 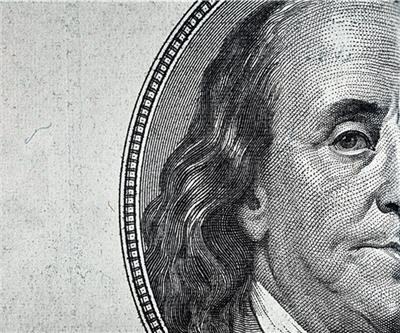 Gold speculators were wrong-footed by the decision to keep interest rates near zero as the positioning by hedge funds on the New York futures market appeared to factor in a rate hike. According to the CFTC's weekly Commitment of Traders data for the week to September 15 large speculators on Comex – referred to as "managed money" – slashed net bullish positions by 75% to a mere 686,000 ounces. Speculators added significantly to short positions – bets that gold could be bought cheaper in the future – and at the same time cut longs. Short positions are now back within shouting distance of 10 million ounces (283 tonnes) while bullish bets have been reduced to more than five year lows.